Add this to the list of things you’ll probably never have happen to you: A Swedish fermented herring expert is taking his special set of skills all the way to a cabin in northern Norway to help “disarm” a 25-year-old can of fermented herring. The thing has been stuck up in the eaves so long, the pressure inside the can has expanded it, literally raising the roof of the cabin. Although The Local uses the word “disarm,” it’s unlikely that there’s any kind of danger from an explosion, the expert from Sweden’s Surströmming Academy explained. 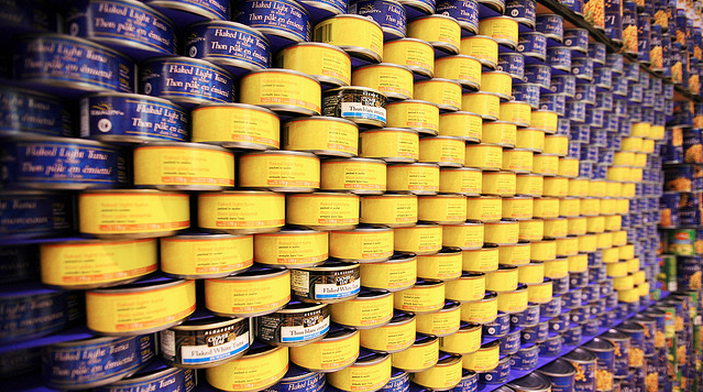 Fermented herring — or Surströmming — is a delicacy in Sweden. “There really isn’t any risk for an explosion. Of course, some fermented herring might come spurting out when we open it. And yes, it will smell,” he said. “If there’s any fish left in the can, I’m going to eat it,” he added. The cabin’s owner found the swollen can recently, and his wife says it was leftover from a party the couple hosted back in 1990. The man says the can has bulged so much it probably raised the roof by around two centimeters. He was also kinda worried it would go ka-boom after all that time, so he warned his neighbors and Norway’s Armed Forces about the potential stink bomb. The disarmament of the can has turned into a media event, with hundreds of people expected to attend on the big day, Feb. 18. “There are going to be more people there than there were at Barack Obama’s inauguration,” the expert joked. “After we open the can it’s going to party, party,” he said.